Al cumplirse el primer año del gobierno de Ollanta Humala se han escrito varios balances de su gestión. 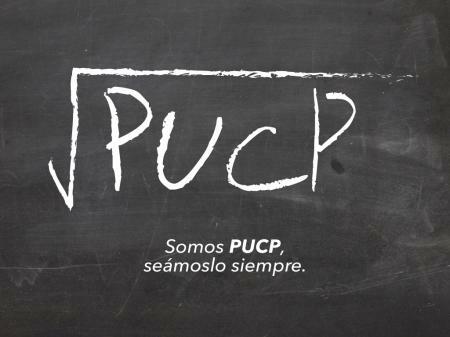 En esta oportunidad coloco en mi blog el balance escrito por Cynthia Sanborn de la Universidad del Pacífico y que esta publicado en su blog por considerarlo uno de los más completos y sugerentes. Estoy seguro que quienes lo lean compartirán esa misma opinión. Ollanta Humala Year One: Passing Muster? Public speaking is not the Peruvian President´s forte. 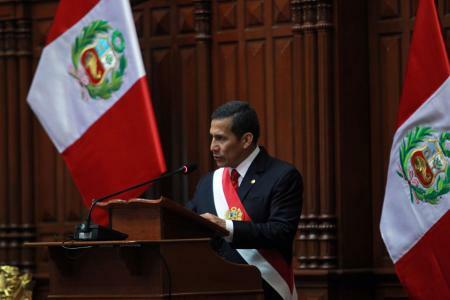 While Ollanta Humala´s first Message to the Nation in 2011 was criticized for unnecessarily provoking the opposition, this year’s address was criticized for not being provocative enough. Pundits from all sides charged that he talked too long but said too little, presenting a laundry list​ of proposals from his Cabinet members rather than a central vision of his own. The once-incendiary nationalist was also slammed for being too boring, too technical, and lacking in “soul”. Last year Humala responded to critics with a prolonged cure of silence​, letting his Prime Minister and party leaders do the talking. But after one year in office, three Cabinet turnovers, rising social protest and falling approval ratings, it was time for the President to face the Nation. Looking beyond the stilted delivery, does Humala pass muster? In fact, this government has delivered on core promises to maintain economic growth, raise the minimum wage and increase social spending. While the pace of private investment has slowed due to the world economy, growth has remained around 6%, driven by strong public investment and domestic demand. Through rising tides, more formal sector jobs and expanded public assistance programs, the official poverty level declined another 3% this year, from 30.8% to 27.8%. This is a first year record any leader would envy. So why so much protest? The answer lies partially in the President, and in the weak political system in which he operates. Both factors in turn impede progress towards addressing a root cause of discontent: the fundamentally unequal distribution of wealth and opportunity that persists in this society. If “social inclusion”, the main slogan of this administration, is understood as giving people an equal chance for participation in society, then Peru has a long way to go. The country ranks poorly on the World Bank’s Human Opportunity Index for Latin America, which measures inequality of opportunity in basic services for children — the extent to which the playing field is equal at the start. This includes access to safe water, electricity and sanitation, as well as parents´ education and income. Using a multidimensional approach that includes health, education and living conditions, Enrique Vásquez​ estimates that nearly 40% of the population remains poor, and up to 81% in rural areas, a situation that the new Ministry of Social Inclusion is well aware of. Access to justice and security are also limited to a small minority. And Peru´s rural indigenous communities are at the very end of the line. Last year, in an article titled Liderar un País Rico (Leading a Rich Country), I argued that the major challenge for this administration would be precisely that – leadership. Although Humala was an inexperienced politician, one hoped that his autonomy from entrenched interests would enable him to rally citizens around a more audacious reform agenda, and that 22 years in the military might give him the courage to carry it out. I also cited two areas in which bold leadership was urgent: management of Peru´s natural resources, and overhaul of its educational system. On both issues, however, this administration has fallen short of expectations.